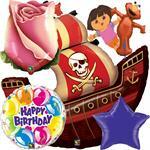 Latex balloons are fun and flexible, providing beautiful, economical decorations and entertainment for any occasion. 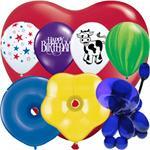 Qualatex latex balloons are the best on the planet! 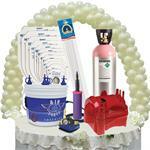 Everything you need to tie, secure & anchor your balloons, plus ribbon, tissue, cellophane, decorative weights and even confetti cannons to insure that your celebration is a real blast! 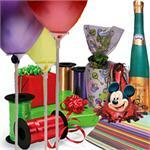 Inflators, frames and machines are in stock to help decorators inflate and place large volumes of balloons efficiently. These labor-saving devices will pay for themselves many times over. These exciting instructional books and videos feature the industry's top balloon art, decor and face painting artists sharing their secrets of the trade. They can give you the edge you need to succeed. 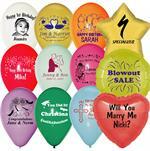 Personalized balloons are fun promotional items. Our high quality latex and foil balloons with your logo are affordable decorations for corporate or school functions and parties.